If you’re an off-piste junkie, you will not be disappointed by the Paradiski region. Situated in the South East of France, in the heart of the Alps, Paradiski incorporates the famed skiing destinations of Les Arcs and La Plagne and is home to some of the most breath-taking off-piste skiing available in the entire world. Although the mainstream resorts in the region are popular and can become crowded in peak season, there are dozens of off-piste hidden gems and a vast off-piste area to explore too. 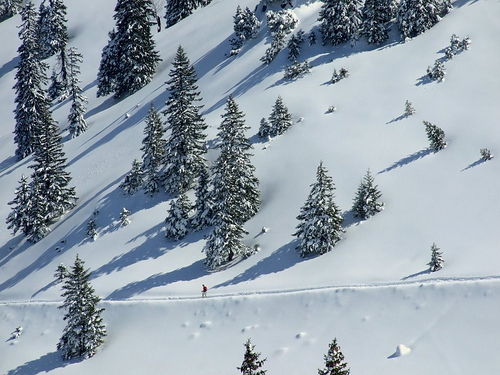 The beauty of off-piste is true adventure, away from the beaten track where you can really experience the thrill of skiing and the beauty of the surrounding area. 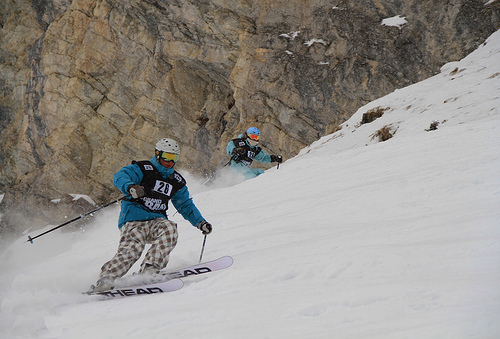 Off-piste is more risky, but that’s all part of the fun. With unmarked slopes and unpatrolled areas, you have the power to choose where you ski, how you read the slopes and where you explore – total exhilarating freedom! There are hundreds of incredible off-piste opportunities in the Paradiski area and the glaciers are at the heart of it all. From the incredible Bellecote Glacier at La Plagne you can make your way back down the slopes through the beautiful off-piste woodland. In Les Arcs, the Glacier du Varet close to the Aiguille Rouge is the perfect place to begin your exhilarating off-piste decent though the enormous off-piste area of the mountain’s Northern face towards the village of Villaroger. This particular area is one of the most pristine areas of Paradiski, with much of the area still a restricted nature reserve. For hidden Paradiski off-piste gems, it is well worth taking some time to investigate the back of Mt St Jaques. You can reach this area using the Arpette chair and from this spot you can make the most of some truly spectacular, secluded off-piste excitement! If you’re a newbie on the slopes but long to experience the thrill of off-piste without the risk there are plenty of runs you can try. Why not head to Les Arcs and try your new-found skills out on the gentle off-piste which runs alongside the blue Les Bauches piste from the top of Dos Rond? This article was written by Ceri for SnowChateaux. SnowChateaux offer incredible alpine ski chalets in France where, you will find stunning mountain scenery, cross country skiing, off-piste skiing, snowboarding, hiking and many more break-taking outdoor experiences! 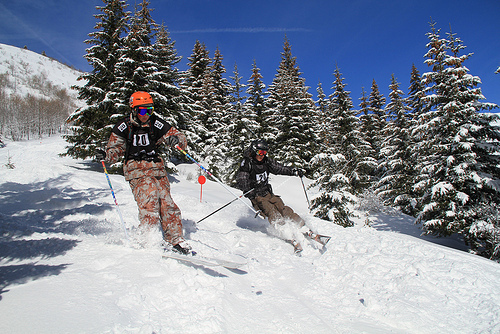 This entry was posted in Europe, Skiing, Travel, Winter Sports and tagged France, French Alps, Off Piste, Paradiski, Skiing. Bookmark the permalink.